I don’t think anybody expected this article to be written when spring training opened just three months ago. 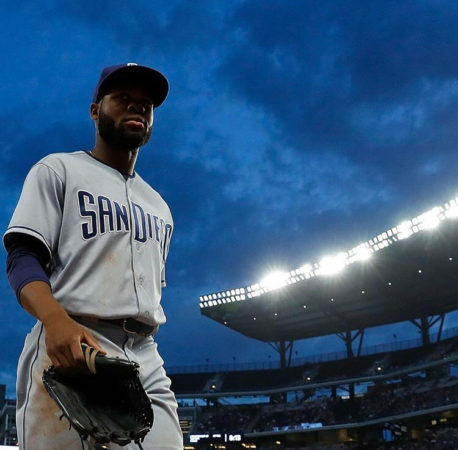 Manuel Margot was unanimously seen as the rangy center fielder of the future and a staple atop the Padres’ lineup for years to come. 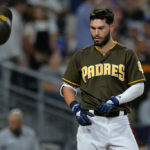 When Eric Hosmer was acquired for, at least, the next five seasons, speculation regarding possible outfield configurations were immediately a hot topic of discussion. Wil Myers made his return to the outfield, initially in left, before eventually settling in right field. Entering the season, Hunter Renfroe, Jose Pirela, Franchy Cordero, and Travis Jankowski all appeared to be in position to fight for one spot in left. Some had even speculated that there simply was not enough room in the outfield to justify the Hosmer signing in the first place. However, the one common denominator among every possible outfield combination included Margot in center field, his spot being all but untouchable. Things have changed, and many question Margot’s status as a cornerstone of the franchise moving forward. I could not disagree more. Here we are in late May and there is an increasing sense of worry among the Friar faithful regarding Margot’s early-season performance. Admittedly, the returns have not looked great. He is currently slashing .194/.239/.295 in 139 plate appearances with only one home run and 11 runs batted in. His walk rate has decreased from 6.6% to 4.3% and his seemingly-consistent calling card, his defense, has not been as expected–his Ultimate Zone Rating (UZR) for 2018 is sitting at -0.3 compared to the 6.0 he posted in 2017. I’m not going to sugarcoat it–Margot has not produced in a “what have you done for me lately” sport. Wil Myers still appears to be a ways away from returning from his oblique injury that landed him on the DL on April 29. Andy Green on Wil Myers oblique "He's a ways off. I have no expectations to see him this month…I don't know when it is in June we'll see him." Myers’ injury has acted as a blessing in disguise in the sense that it has allowed Andy Green to give Cordero, Jankowski, and Reyes sufficient at bats, all while allowing Margot to attempt to work through his struggles in center. 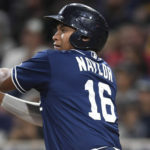 Until Myers returns, there appears to be no reason to make a significant roster move regarding one of the outfielders. 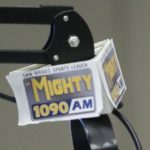 An argument can be made that Myers might be the odd man out upon his return, but that is a topic for a different time. I say all of that to say this: the circumstantial situation has given Margot more wiggle room than usual to work through his struggles. There are statistical and logistical arguments to be made in support of Margot as well. 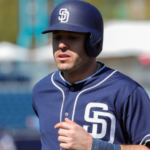 His Batting Average on Balls in Play (BABIP) is currently sitting at .235, 74 points down from the .309 number he posted in 2017, and he’s striking out less than he did in 2017, albeit just slightly (20.0% in 2017 compared to 19.4% in 2018). Both of those numbers suggest he is poised to break out of his dry spell sooner rather than later. 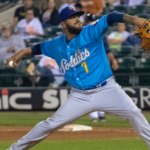 He has also been battling the lingering effects of the rib injury he suffered back in April, and that surely has compromised some of the torque in his swing and range in the field. Most importantly, he is just 23 years old and in his second full season in the majors. The unteachable tools and promising ability that he showed throughout the minors and much of the 2017 season are still present. A poor first two months is not going to change that. The nature of baseball is one that sends every player through rough patches and hot streaks, and we’ve seen much more of the latter than the former from Margot. 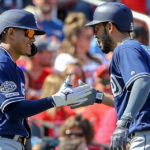 Lastly, as much as Padre fans are tired of hearing the Anthony Rizzo/Trea Turner/Yasmani Grandal argument, it’s an argument that has to be brought up. It’s no secret this team is not going to compete for a postseason berth in 2018. Whatever “giving up on” a player means to you–trading, sending down to the minors, reducing playing time–it’s too early to do that right now. There’s just no big-picture upside to it. This season has always been about advancing A.J. Preller’s process, and it would be incredibly short-sighted and, honestly, irresponsible, to give up on someone the organization viewed as a centerpiece just months ago. 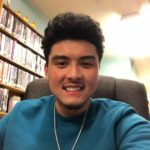 The purpose of this article is not to make excuses for Manny. 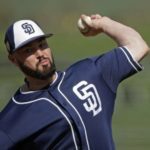 The purpose of this article is to provide some perspective for the fans who have already given up on him two months before the MLB All-Star break of his second big-league season. Numbers suggest there are brighter days on the horizon for #7. The same can be said about the San Diego Padres’ organization as a whole. 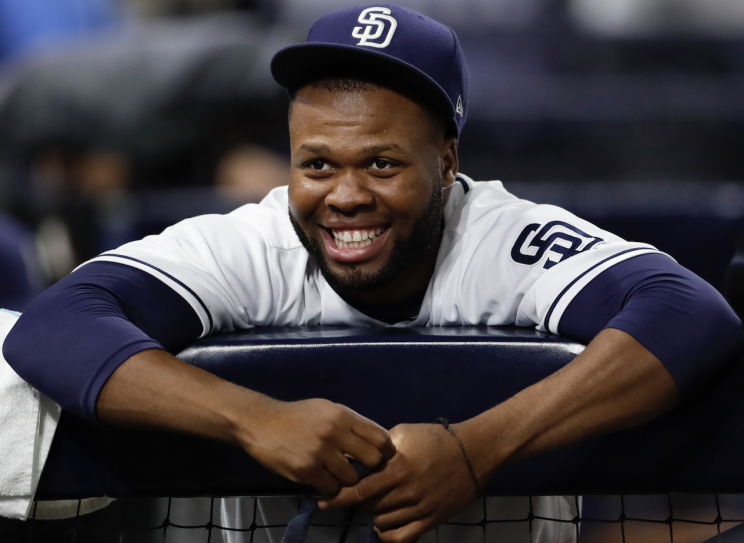 I say Manuel Margot will be leading off and playing center field for that future, postseason-bound Padres team that we’ve all pictured in our heads. All trades for starting pitching. Quality Inning eaters until 2019. Too many Thomas Johns in recovery. Re: Myers and the odd man out?…..absolutely. You can bet that’s an ongoing discussion behind petco. But what about his crystal like durability and his heavily back ended contract? Who’s buying? Jankowski knows how to play this game of baseball with speed, defense, bunting skill, gets on base and even hits for average. WHO CARES IF HE DOESNT HIT HOME RUNS. WE HAVE PLENTY OF BIG BOPPERS!!! Dont trade this guy. Speed kills. Agree. Hopefully Jankowski impresses to use as trade bait. I can still see Jankowski as a potential 4th outfielder on a good playoff team but that is as far as his ceiling seems to be. Despite the current flaws of Renfroe, Reyes, and Cordero, they deserve a spot on this struggling 2018 team because their ceiling is so much higher than Jankowski. Margot absolutely will get the majority of the playing time in the second half and will (fingers crossed) put up decent all around numbers. I’m hoping Preller can net a young relief prospect for Jankowski. That seems fair and a solid trade for the Padres. Nice piece Brady. I couldn’t agree more. 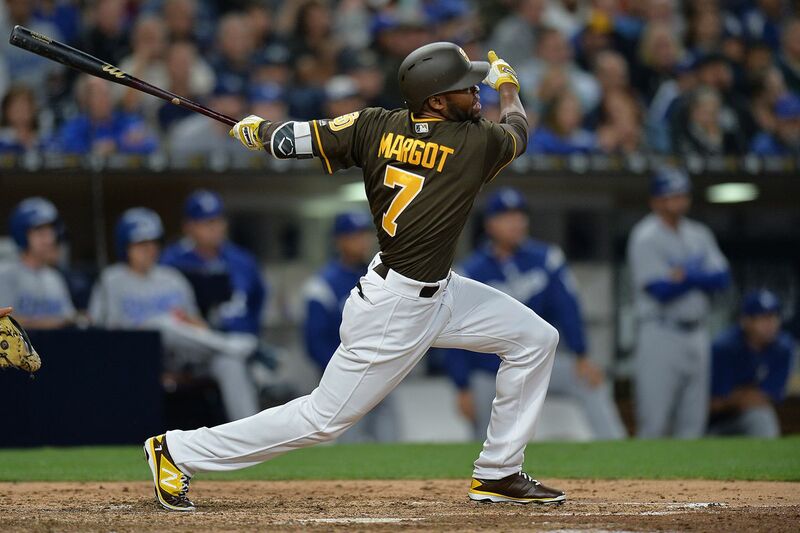 Despite the short-term struggles of Margot in 2018, I still see him as the long-term center fielder for the Padres.